Rihanna continues her philanthropic efforts by announcing a brand-new initiative built to support the education and recreation of Malawi school girls. After launching her Clara Lionel Foundation in 2012, Rih has been an advocate for helping youth around the world. For this particular initiative, Rih teamed up with bike-sharing company ofo to help donate bikes to scholarship recipients in Malawi. "I'm so happy about the Clara Lionel Foundation’s new partnership with ofo because it will help so many young people around the world receive a quality education, and also help the young girls of Malawi get to school safely, cutting down those very long walks they make to and from school all alone," Rih said as per a press release. 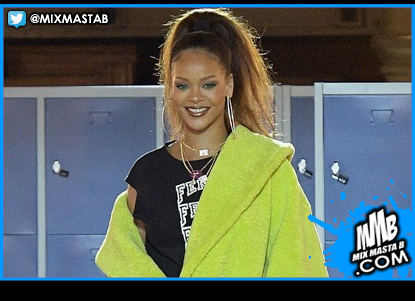 ofo founder and CEO Dai Wei added: "We are delighted to work with Rihanna and the Clara Lionel Foundation on this innovative initiative as we are keen to help improve education accessibility for students living in poverty. We believe in unlocking every corner in the world with equal access to education as well as with our bike-sharing scheme."